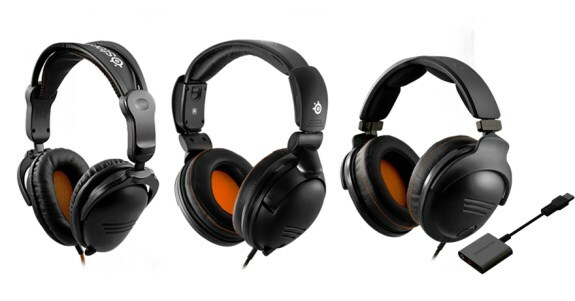 Kicking off this year’s Electronic Entertainment Expo (E3), SteelSeries, the leading global innovator of gaming peripherals and leading sponsor of global eSports, introduced the new H-Series Headset line. Delivering tournament-grade audio, the new headsets all feature custom-engineered soundscapes and the newest generation of SteelSeries audio drivers designed specifically to enhance audio performance and sound details. The flagship SteelSeries 9H with Dolby® Technology features up to 7.1 surround sound and tournament-grade audio performance with new sound isolating double enclosure earcup technology. Building off the legendary tournament and award-winning SteelSeries 5H, the new 5Hv3 and 3Hv2 headsets were designed for tournament grade audio with portability and extended comfort for the gamer that competes everywhere. The H-Series can be recognized by its industrial design, solidly constructed for best-in-class durability. Crystal clear communication via large, high-end microphone that retracts into the headset when not in use. Fully supported by the SteelSeries Engine with advanced digital features like unlimited game specific audio profiles, 10-band equalizer settings, mic noise cancellation and auto mic gain. Created for gamers who are looking to experience SteelSeries audio for the first time or without having to make a large investment, the 3Hv2 encompasses the four components that set SteelSeries audio above the rest: performance, convenience, durability and comfort. The new 3Hv2 headset comes in a compact, foldable design making it ideal for storage or travel and an included adapter which allows for use with PC, Mac®, tablets and phones. Unlike other headsets in this price category, the durable 3Hv2 brings together its powerful, next generation SteelSeries audio drivers, extra-padded leather cushions, a retractable microphone system and in-line audio controls on the soft-rubber cable in a compact and portable headset. The SteelSeries H-Series will be available starting with the 5Hv3 and 3Hv2 headsets this summer and the 9H with Dolby® Technology coming this Fall in Q3. For more details about the new headsets, please visit http://steelseries.com/h-series.